﻿ Phu Pha Nam Resort & Spa, Loei | FROM $29 - SAVE ON AGODA! "We loved the view and the pool and the restaurant." Have a question for Phu Pha Nam Resort & Spa? "Rooms and views were lovely." "The spa was also very nice." "Nice view from the room;"
"Staff were excellent and helpful." For your stay in Loei, the Phu Pha Nam Resort & Spa is an excellent choice. All 70 rooms at this 3-star hotel are tailored to satisfy guests' needs. All rooms have air conditioning as well as other amenities, and some rooms feature a balcony. Featuring conveniences such as restaurants and car rental services, the Phu Pha Nam Resort & Spa is sure to make each guest's trip an enjoyable one. After a day of work or exploring, massage treatments, a fitness center, and the spa are some of the ways to unwind. 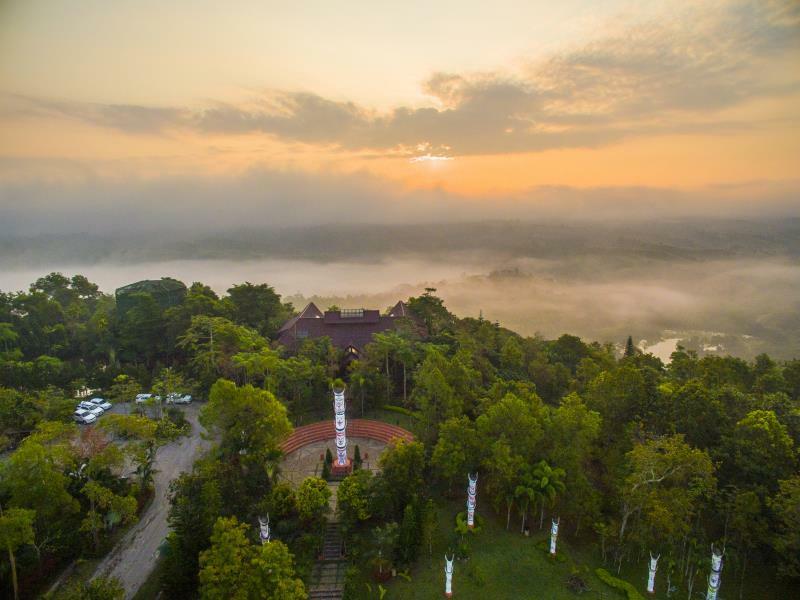 Phu Pha Nam Resort & Spa in Loei can be easily booked with our secure online booking form. Simply enter your dates and click to proceed. "Very good resort with nice staff;"
It is undeniable that this Phu Pha Nam Resort is the worst hotel that I have ever stayed, worst experience that I ever had and am truly disappointed with the management. The staff claimed that we overstayed and personally pack all my kid belonging and moved to my room without informing or contact us before they action. Terrible! After clarify our “overstayed” problem, it is clearly the hotel fault because they did not check properly with our stay in their place!!! And one of the staffs told me that there are VIPs staying in their hotel and they can’t do anything just rent my room out for the so called VIP. I can see that the staffs are handling things unprofessionally, you are in hospitality industry, you should treat all customers or guests as a VIP, not only certain people that you claimed that is a VIP then they have special treatment. Can you imagine that how try when back from a long journey than we have to change a downgrade small room. Hope mgmt look in to this matter seriously. (Feb16-18th 2019 from Australia). Huge room. Extremely polite staff. Need refurbishment to avoid the wood from being ruined. Requested a few more hangers so clothes would not spoil the rattan chair which is extremely traditional . Great pool and gym. Excellent view and great choice of breakfast. Only thing is too many steps to walk. It was much easier to use a commuter to drive down and take a walk to the pool. A night swim is great especially when it's quiet & just relaxing & floating looking at the moon and stars. No massage available during my stay. Hopefully there will be one in my next stay in a few months time. Cons: it's rural so if you drink or eat anything, make sure you block the bathroom water outlet to stop rats from entering with the large bin provided in the bathroom. My friends and I do not kill any form of animals following the Thai Kammatthana (Thai forest monks) tradition. Komboonmaka, Khun Jun and all your kind staff. Will definitely come again. Lovely resort and beautiful rooms. The swimming pool is stunning. We arrived here by luck and decided to add another night. I thought the resort would be full this time of year, but it was almost completely empty. Pity therefor no staff at the swimming pool, but i guess the lack of people at the time we were there is due to that. We did buy some plants in the nurserry at the bottom. Seems like the lake is not really in use and the jetty looks a bit dilapidated. We stayed two nignts, and we shall keep an excellent souvenir. Incredible building built with large pieces of teak and stones, with a really fantastic wiew on the valley, beautiful garden , flowers and trees. The manager looks much younger than he is ( yes, this is a joke ) he is really kind, helpful and has sense of humour. Thank you for everything. Dol et Olivier . We stayed 2 night with our family in 2 de luxe rooms. These rooms were big enough and had a great view. From the restaurant the view is great. The restaurant food is good. Breakfast is minimal. The staff is very frindly and helpfull. The resort located in between the hills with great views. There is a large enough swimmingpool which needs to be cleaned better. Staff only speaks Thai and is not attentive. The room had a bad smell and it was almost impossible to sleep when the people staying on the upper floor taked or moved around. WiFi did not work. The price included a welcome drink that we never received and when we pointed this out we were told that this only applied to groups and that Agoda was to blame. Breakfast was horrible and almost impossible to eat. I have not stayed in a hotel this awful for years. I stayed here for the Ghost Festival and enjoyed my stay here. The lodge has a very "Twin Peaks" vibe with a really nice pool and gym. The place is huge and there are a lot of cool places to explore. I enjoyed the eating area with the stunning view of the mountains. Only issue is that it's far from the festival but the manage is very nice, spoke English, and arranged a tuk tuk for me. I will stay here again. I stayed here with my wife and 4 year old for 5 days. Just on our own, not as part of a tour. We loved the view and the pool and the restaurant. The manger was very accommodating of our special diet and even went to shop for items to cook just for us. Rhe manager also apoke great English and drove us in his own car to a couple of places when a taxi wasn't available. The spa was also very nice. Great massage therapist. The overall property is well kept but it now needs money spent. It is not a Spa as the sauna doesn’t work and the pool just can’t be kept clean enough to swim in. The gym is passable but the hotel needs investment. The Carpeted bedrooms desperately need cleaning! With some attention it could be lovely property.. 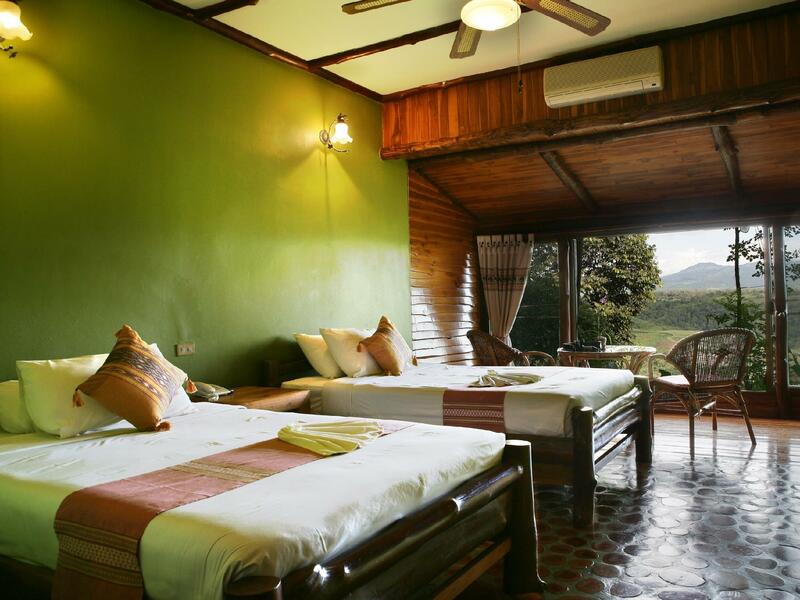 Very tastefully designed and furnished teak-wood resort in beautiful surroundings. Rooms have everything you could possibly need (TV, fridge, kettle, hair-drier, slippers, etc.) and the views are fantastic. The swimming pool was a big hit with the whole family, and our 4-year-old son loved 'Beak' - a hornbill that descends on the hotel each morning. There is lovely walking on the grounds, and staff are very warm, welcoming, and helpful. The food is both tasty and plentiful. This is probably the best resort my family and I have ever been to. Many thanks to everyone at Phu Pha Nam Resort & Spa for making our stay so enjoyable. I stayed at the resort bcz of a retreat which turned out to be disastrous!! I am a stroke patient and I went to have my treatment. I booked this resort bcz they have swimming pool, spa, and gym under one roof. Spa : unable to use them but instead called in a foot masseur into the room. It turned out to be like a student or even worse. Swimming pool : it is dirty during our stay. Full of leaves and dirt. Spa, gym, swimming pool located in a place where people like me find it sooooo hard to climb up and down the 'stairs' and this is not shown in the pictures. Customer service : its pretty good. The breakfast manager took care of me really well. I won't stay here at all just on the basis of the facilities provided and its very verrrrrryyy expensive for the night we stayed. 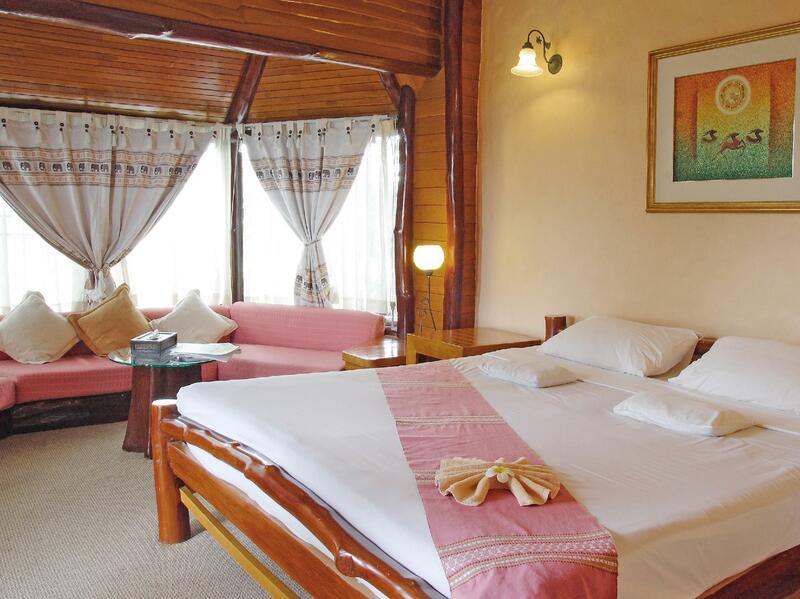 The resort has spacious and nice rooms, huge and beautiful garden, orchid farm, aviary, beautiful surroundings. Friendly and helpful staff. The only negative thing was the swimming pool which was honestly quite dirty. Fabulous Room ,Great Location Superb Staff . Enjoyed every minute of it , quite peaceful , this resort is built completely of Teak , great location to visit all the sites of LOEI , the staff where fantastic and the resort manager is a real character , made us feel home away from home , a very special guy . The resort is original , great pool , great massage , great food , great rooms , I stayed 3 days longer than I initially booked. It's really an oasis of a resort away from the madness of every day life , I highly recommend a visit. Stunning Location, tasty and excellent service. We had a wonderful time staying at this place. Amazing view look out to the mountain from the dining area. Good breakfast, great value for the money. My family really enjoyed the well kept garden as well as a free tour around the resorts such as Orchid garden, orange farm, and so on. The rooms are nice and good space with the stunning view. Manager and staffs are very lovely and helpful. We love everything about this place and highly recommended for anyone. You will have a wonderful time. One thing they can improve is the shower in the bathroom which is not powerful enough. We definitely are coming back soon. Phuphanam Resort is nestled amongst the gently rolling hills of the Phu Rua district in Thailand's northern province of Loei. It is about an hours drive from the Loei airport. There are about 75 rooms between the three low-rise buildings - the original stone and wooden structure and two later modern additions. The resort is situated on an expansive forested property, which also contains working orange tree orchards, a large orchid flower nursery, and some Thai farm animals. There is also a large bird aviary, which has some parrots, peacocks, and a pair of rare Great Hornbills. There is a large unheated pool, indoor and outdoor massage facilities, and a gym. These areas are clean and in good repair. The restaurant serves mainly Thai food, along with some basic western entrees. The staff are very friendly and helpful. The main activities in the area include visiting the national parks in the area, as well as touring some of the cultural villages of the hill people who populate the area. The Loei area has extensive flower and fruit cultivation and depending on the time of year, everything from strawberries to avocados to macadamia nuts may be available. One of Thailand's largest wineries, Chateau de Loei, is located nearby. I would describe the resort as a rustic country lodge, especially the main building, with its teekwood floors, stone walls, and wooden rafters. I would definitely recommend a room in this building. 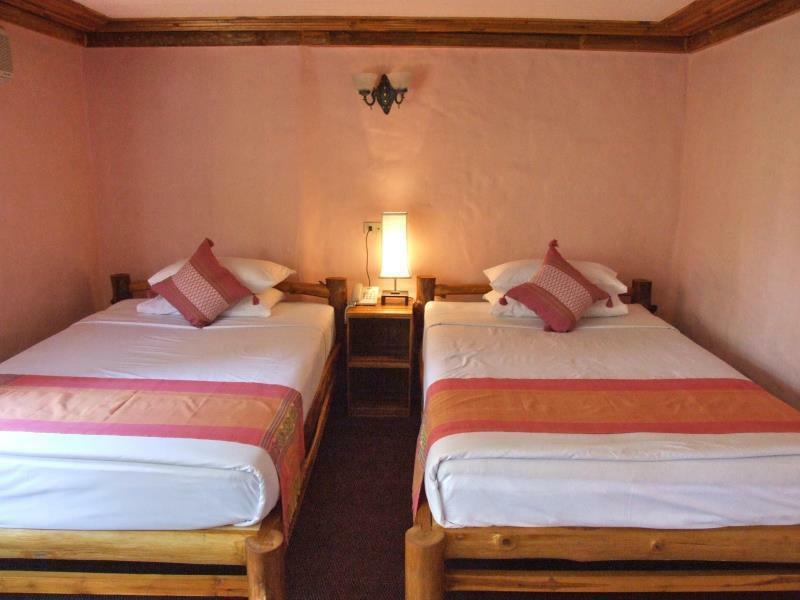 They are comfortable and spacious but don't expect allot of luxury as you're in the country. There are warm water showers for example, but not at the sinks. The main reason to stay here is to relax and catch up on some reading or take in the local nature hikes. There is free WiFi throughout.